Atlanta - Two exceptional books will be recognized with this year's Lillian Smith Book Awards. These awards were established by the Southern Regional Council (SRC) to recognize authors whose books represent outstanding achievements demonstrating through high literary merit and moral vision an honest representation of the South, its people, its problems, and its promise. This year's Awards Ceremony is a partnership between the Southern Regional Council, the University of Georgia Libraries, and the Georgia Center for the Book. It will be presented in connection with the Decatur Book Festival at the DeKalb County Public Library in Decatur, Georgia on Sunday, September 2, 2018 at 2:30 p.m.
A sharp analysis of how African-Americans, due to “profound levels of pain, fear, and anger” over crime and violence in their neighborhoods, have helped shape U.S. policies leading to mass incarceration. In this candid, readable account, Forman, a former Washington, D.C., public defender and current professor at Yale Law School, shows how our nation has gotten to the point where so many citizens—primarily blacks—are imprisoned. 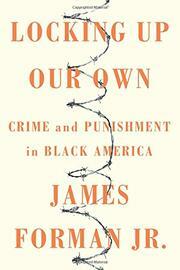 Surveying the recent history of race, crime, and punishment, the author, son of civil rights pioneer James Forman, argues that mass incarceration has developed incrementally as a result of national campaigns and federal actions as well as of “mundane” local decisions made around the nation. With a focus on majority-black D.C., where he represented criminal defendants and co-founded a charter school for school dropouts, Forman traces the rise of drug addiction and criminality, the resulting widespread fear in black neighborhoods, and the demands in the 1980s for “tougher criminal penalties” that set “a national precedent for punitive sentencing.” Most people punished under policies to combat drugs and guns, he writes, have been “low-income, poorly educated black men.” Especially insightful are Forman’s discussions of the rise of black policing in the 1960s (“a surprising number of black officers simply didn’t like other black people—at least not the poor blacks they tended to police”), the “hostile, unforgiving mindset” that prompted “warrior policing” during the 1980s crack epidemic, and the practice of “pretext policing,” in which routine traffic stops are used to seek evidence of criminal activity, especially in ghetto areas. Writing with authority and compassion, the author tells many vivid stories of the human toll taken by harsh criminal justice policies. He also asks provocative questions—e.g., what if the D.C. drug epidemic had been treated as a public health issue rather than a law enforcement problem? Nancy MacLean is the author of "Democracy in Chains: The Deep History of the Radical Right's Stealth Plan for America." She is a professor of history at Duke University. This book explores the philosophies and strategies that animate those on the political right. University of Virginia economist James M. Buchanan provided the blueprint for the libertarian movement. MacLean says her research uncovered the operation that he and his colleagues designed over six decades to alter every branch of government to limit participatory democracy through Constitutional means. She says Buchanan's argument was "if you don't like the outcome of public policy over the long term, don't think about changing the rulers, but think about changing the rules." MacLean concludes that "what we're seeing today is very much akin to the 1860s and the 1930s in terms of a very determined and powerful group of people who are hostile to democracy, as the Confederacy was, and the American Liberty League was in the 1930s, and they are moving along very successfully." SRC was founded in 1919 to combat racial injustice in the South. SRC initiated the Lillian Smith Book Awards shortly after Smith's death in 1966 to recognize authors whose writing extends the legacy of the outspoken writer, educator and social critic who challenged her fellow Southerners and all Americans on issues of social and racial justice. Since 2004 the awards have been presented by SRC in a partnership with the University of Georgia Libraries, whose Hargrett Rare Book and Manuscript Library houses a historic collection of Lillian Smith's letters and manuscripts. The Georgia Center for the Book became a partner in 2007, when the awards ceremony first became part of the Decatur Book Festival. Piedmont College, which operates the Lillian Smith Center, joined as a sponsor in 2015. The 2017 Lillian Smith Book Awards were The Firebrand and the First Lady by Patricia Bell-Scott and Vagrant Nation by Risa Goluboff.